With much extended years of working in this niche, we are offering our customers best looking array of Crystal Ware in many designs and sizes. With the aid of nimble experts, we present a varied range of Glass Crystal Tukdi. Our products are available in diverse structures. 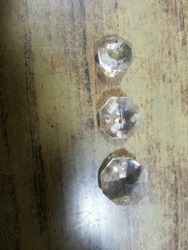 Different sizes of crystal clear half balls available for value added works. In order to suit the various and precise requirements of our esteemed clients, our enterprise is dedicatedly engaged in providing Glass Crystals in the market in different Shape. In order to suit the various and precise requirements of our esteemed clients, our enterprise is dedicatedly engaged in providing Glass Wavell Crystal in the market in different Shape. Regular classes for the same are held at the institute. We are leading suppliers of multi colour Glass Crystals for decorations and fancy furnishing applications. 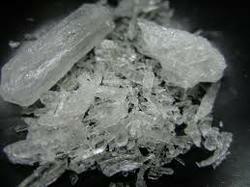 Size - 3.0", 2.5", 2.0"
Our range of Glass Crystals is available in sizes of 3.0", 2.5" and 2.0". These are truly attractive & aesthetic in appeal and are offered at reasonable rates to our client. The perfect in cut makes these sought after crystals. Further, we meet the bulk requirements of our clients with ease.